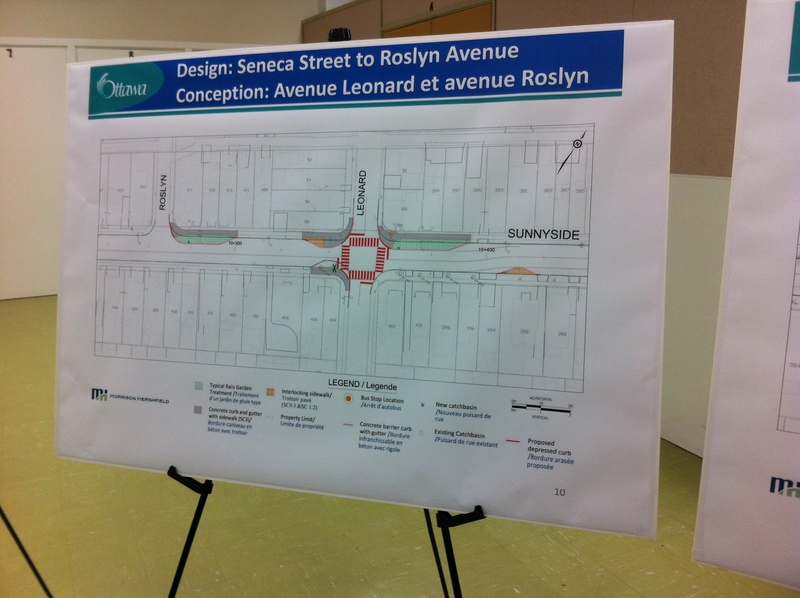 On Wednesday, February 19, City of Ottawa representatives and local community members met for the second time to discuss the traffic calming and greening project that is to be happening on Sunnyside Avenue later this year. The turn out was pretty good standing at about 20 local community members some of whom live on Sunnyside Avenue. The city plans to put three rain gardens in at various intersections along the stretch of the street that will not only provide a calming aspect for traffic but will also serve as a bio-retention area for excess surface runoff. A big concern with regards to the rain gardens as green stormwater infrastructure, was the question of who would maintain them. The city of Ottawa representatives said that they are working with other sectors with in the city of Ottawa to coordinate the seasonal upkeep, which would be minimal. They encouraged residents to play a role in helping maintain the rain gardens . Another question that was raised was whether or not the existing asphalt siding along the sidewalk on Sunnyside was going to be removed as many people felt it was ugly, and that rain gardens would be a much nicer addition. 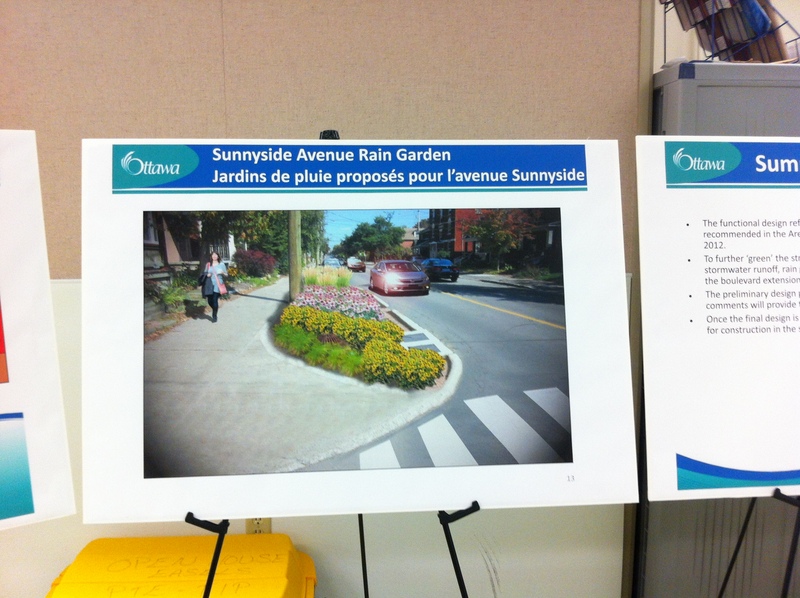 City staff indicated that this work would probably be considered when repaving of Sunnyside is scheduled. Overall the meeting was very informative and the City has taken on this traffic calming and greening as a pilot project with the potential of many more Ottawa streets to be changed into this new innovative design. As it stands various cities across Canada have already implemented this green infrastructure with much success. Montreal received positive feed back from its citizens on the implementation of rain gardens. Unfortunately, Ottawa’s pilot project will be collecting data for the next few years and then the city will decide if it is something it wants to execute across the City.